A package arrived in the mail today. A package with a little goody bag filled for each and every one of us. We were so excited that we danced. 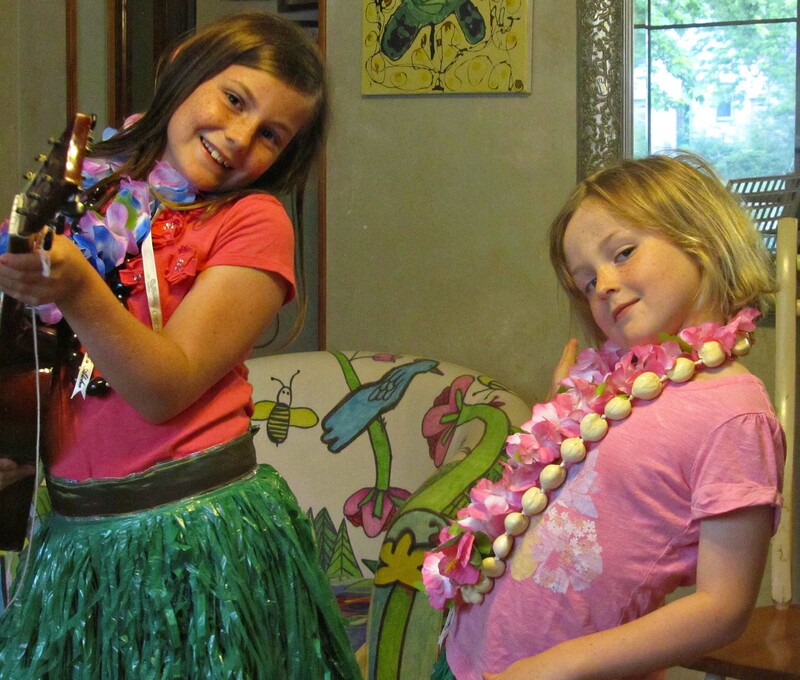 The theme of the package was Hawaiaan, so the girls donned their hula skirts and leis and added their new necklaces. 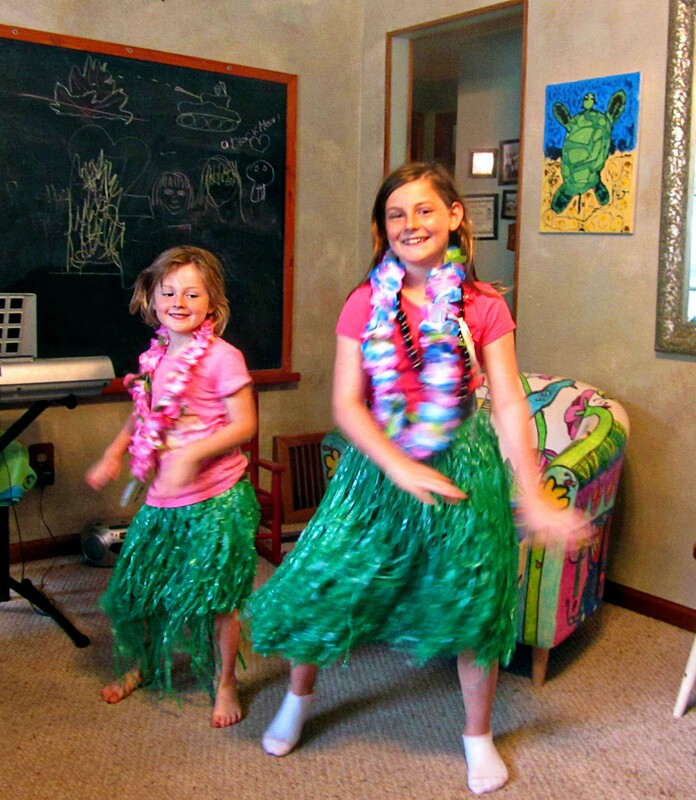 We have a Hawaiaan tune recorded on our electric piano, so all morning the girls danced away. Aren’t they cute? I wish it was a video instead of just a photo. I loved the cookbook included for me and decided that I needed some pineapple, so I made BBQ CHICKEN AND PINEAPPLE QUESADILLAS (pg. 154). Now Ree Drummond’s recipe calls for grilled BBQ-ed chicken, but I had some SPICY DR. PEPPER PULLED PORK in my frig, so I used it instead. 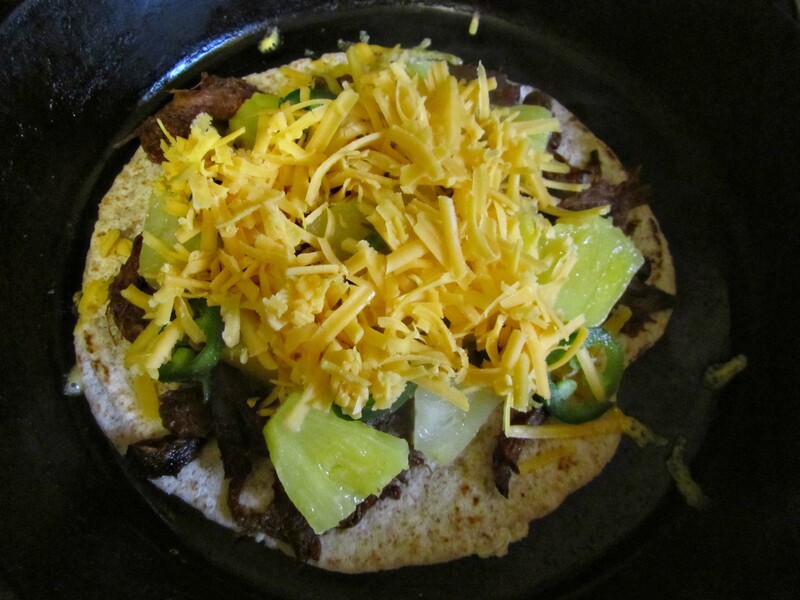 Pioneer Woman’s recipe also calls for Monterey Jack cheese, but I was in the mood for cheddar. Add a strawberry smoothie, and call it lunch. 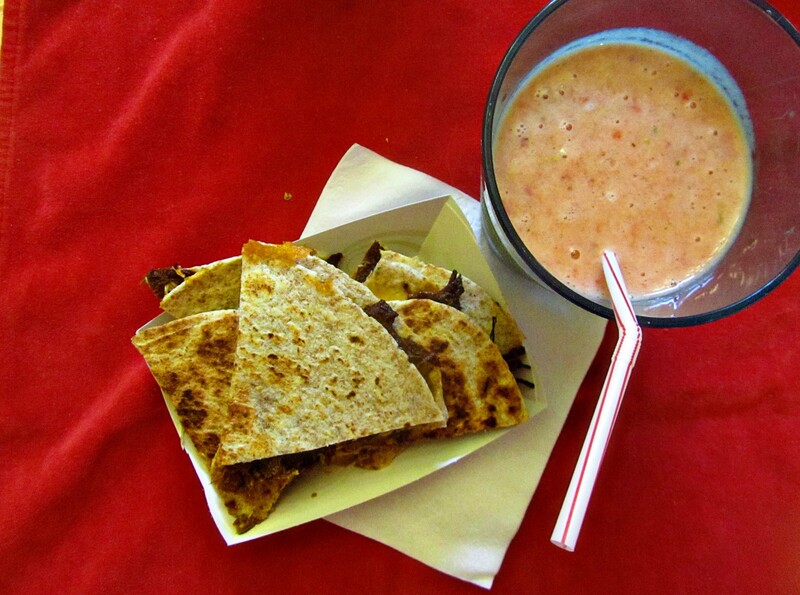 I omitted the jalpenos from the kid’s quesadillas, and they loved this lunch. 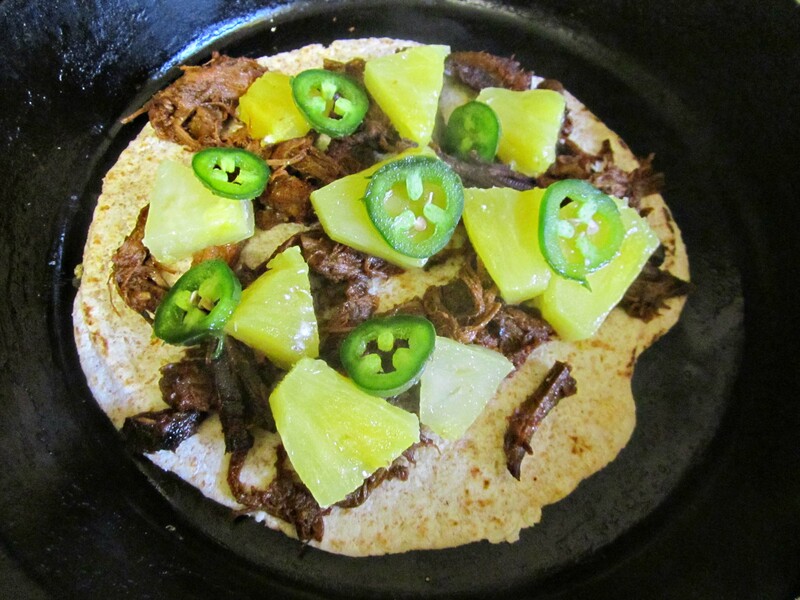 The whole wheat tortillas made me feel like I was being a good parent. My day involved the usual books due at the library, swim team practice, All-Star baseball practice, and a baseball game. On busy days, we sometimes have Breakfast for Supper. It is easier for the Mommi, and sometimes tired kiddos just need a lighter meal and showers and bed. Tonight I made grown up Egg McMuffins. Or that is what I told the kiddos. I remember the first time I tasted EGGS BENEDICT (pg. 17). I was in my teens, and I thought nothing had ever tasted so good in my life. Just the right amount of tang and butter and egg. I did not know what the meal was called, so when I asked about it, I called it Fancy Egg McMuffin, and of course was pish-poshed for my lack of epicurean knowledge. I endured the pish-poshing and learned the recipe. I tried to repeat the recipe at home, but making Hollandaise sauce on a double boiler in the morning took too long and was too complicated for my early morning brain. I needed breakfast pronto. Then my sister-in-law showed me the Cheating Hollandaise Sauce. 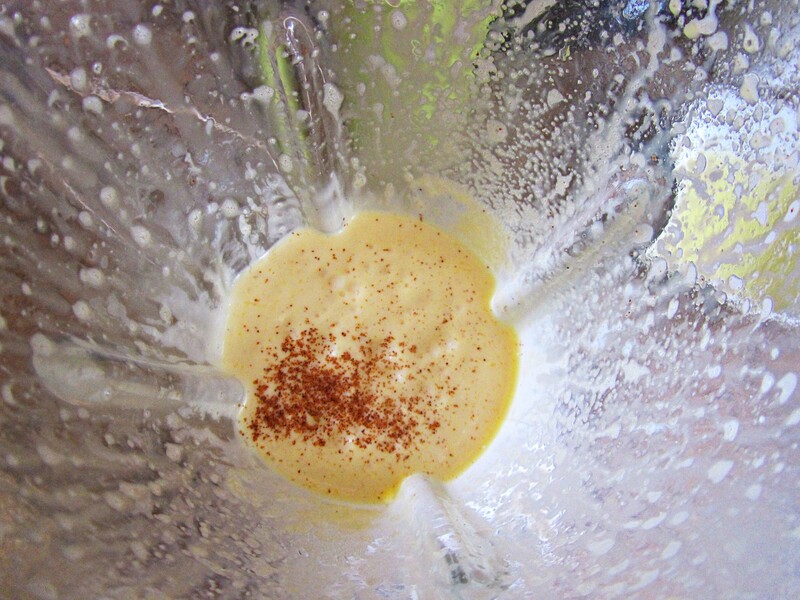 Pioneer Woman cheats and uses the blender as well. Hollindaise sauce only uses the egg yolks, so separate out three. 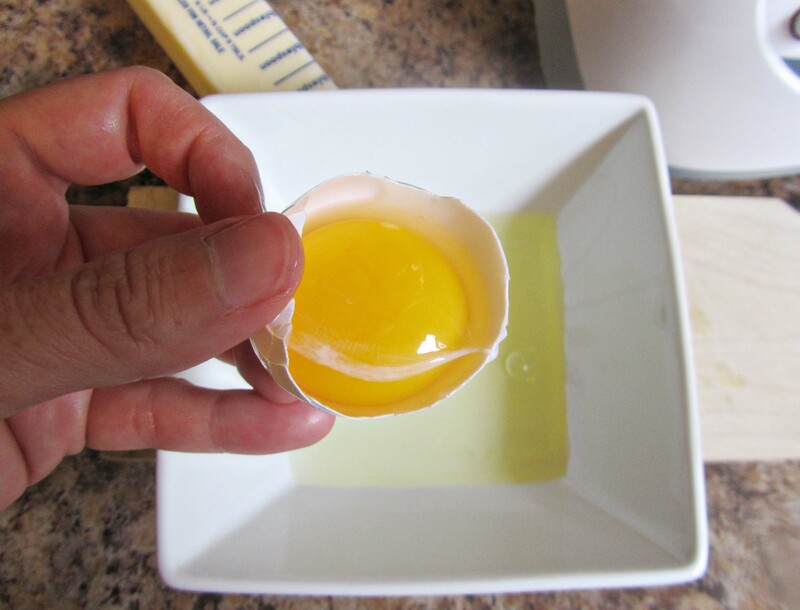 Add the egg yolks, lemon juice, salt, cayenne pepper, and the melted butter to a blender. 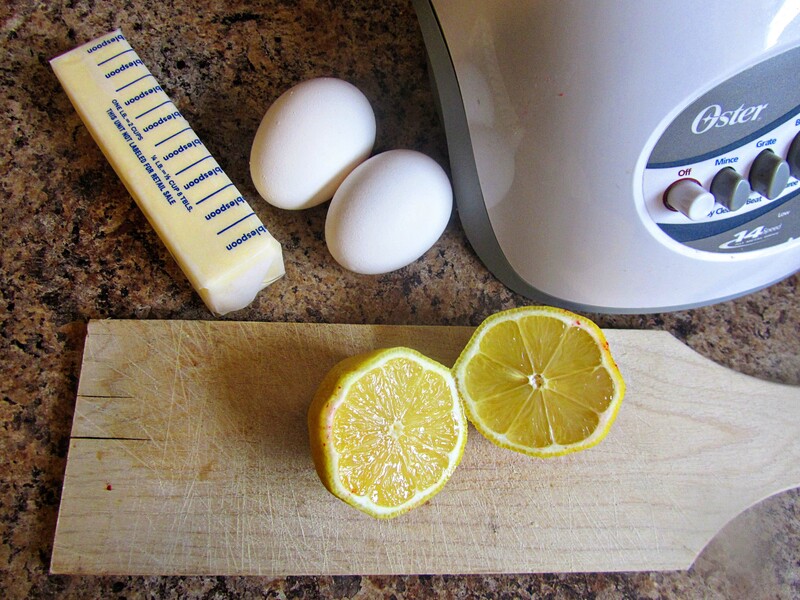 The heated butter cooks the egg yolks and makes a smooth lemon buttery sauce. I have everything ready to assemble before starting the poached eggs because poached eggs need to be watched to get them just right. 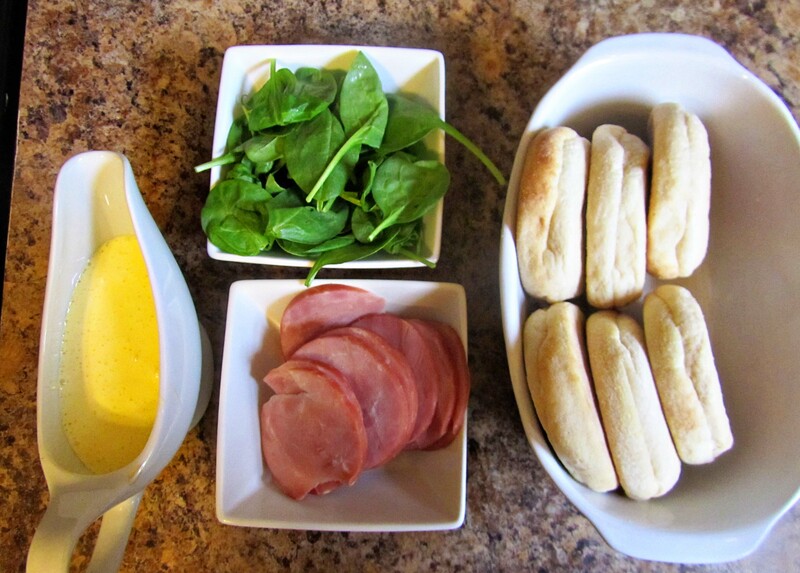 Add some wilted spinach, and you have EGGS BENEDICT FLORETINE (PG. 19). You also have deliciousness. Now three of my kiddos ate their “Egg McMuffins” without the Hollandaise Sauce, but one girlie loved it. This is my all time favorite brunch meal served with steamed asparagus and finished with orange sweet rolls. The Saturday before Thanksgiving my parents have been hosting a Brunch as some years not everyone is present for Thanksgiving. 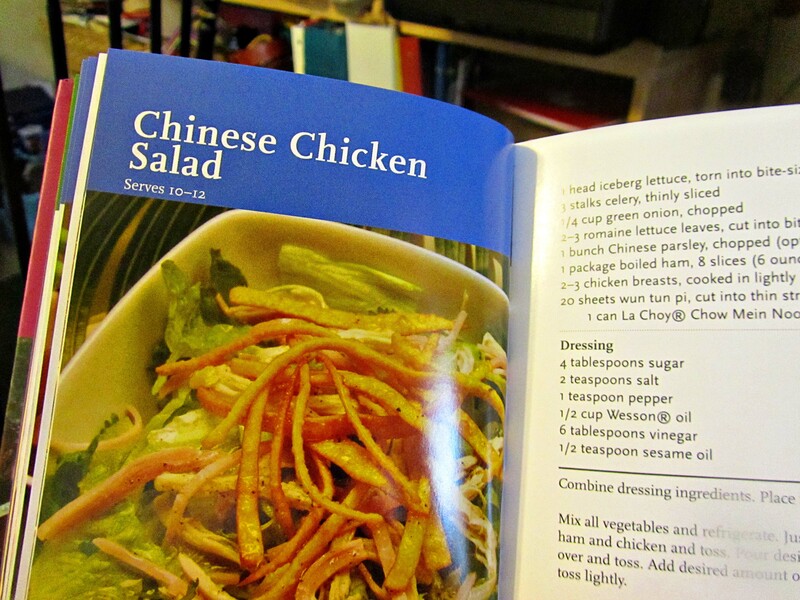 This recipe is lovely. 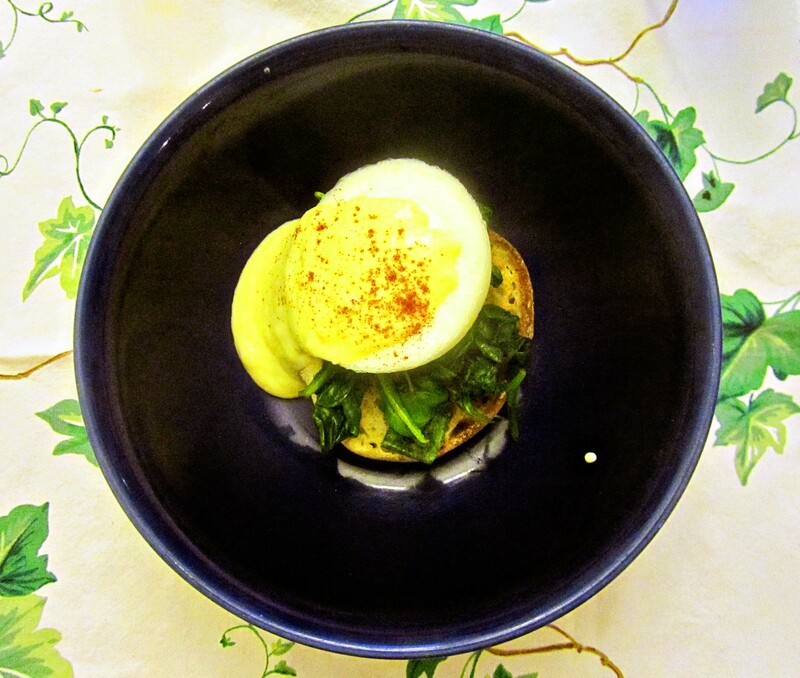 yum, i love me some eggs benedict florentine myself. wish i didn’t have a kid who hates eggs in any form with a passion. 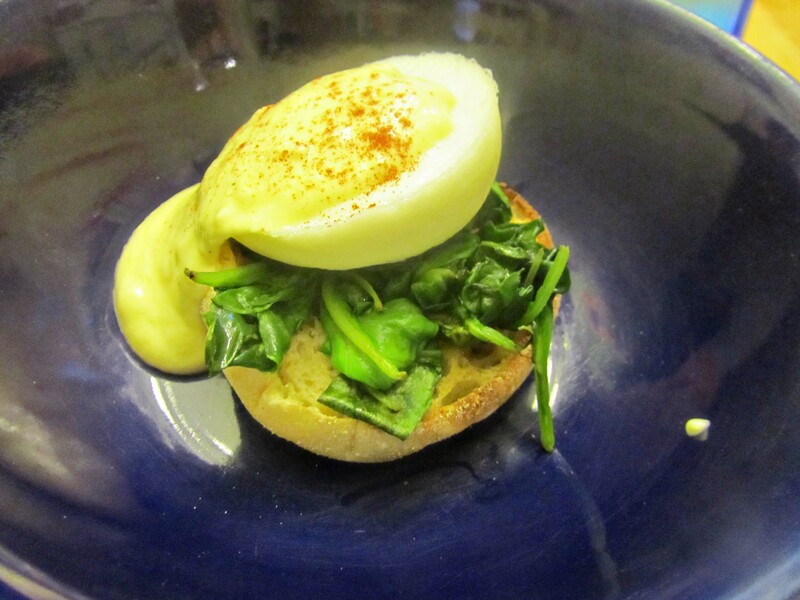 glad there’s such a thing as GF english muffins, need to get some pronto so I can replicate.